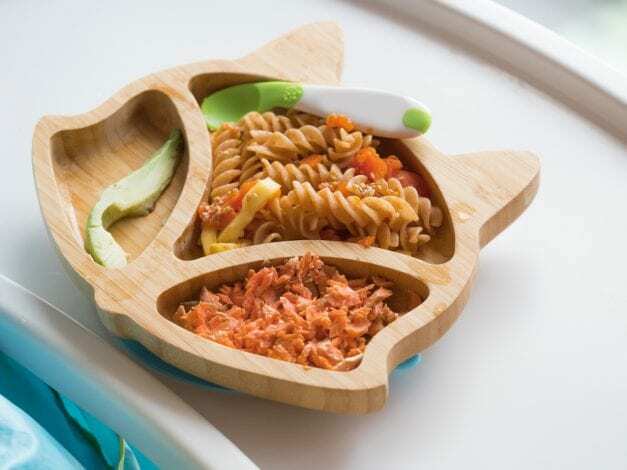 Baby led weaning has risen in popularity over recent years with more and more parents adopting the approach. So what exactly is it? 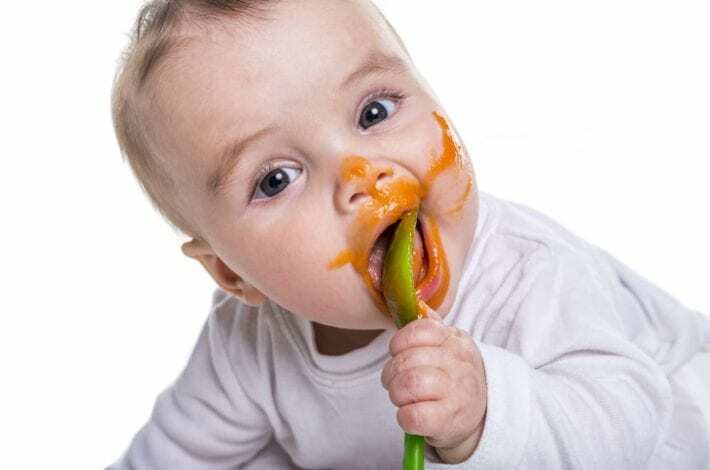 Baby led weaning is the way of introducing solids to babies by offering them age appropriate foods as finger food for them to feed themselves with. Your baby can practice their motor skills by learning how to grab, handle and bring the food to their mouth. They can also explore the different textures, smells and tastes. Hopefully they will eventually learn to eat some on their own without the need for spoon feeding. Unlike spoon feeding, your baby has the choice to pick up and explore all sorts of foods and after playing with it, will learn to eat it. You can see our article on Purees vs baby led weaning for the pros and cons of each weaning method. Below we break down baby led weaning foods by age. We show which foods are the most appropriate for baby at each weaning stage, and which you should avoid altogether. We hope it helps you along your baby led weaning journey. When do I start baby led weaning? 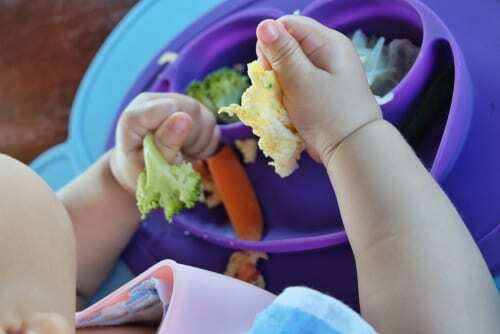 It’s important to wait until your baby is at least 6 months before starting baby led weaning. If you’re thinking about starting weaning before 6 months then always consult a doctor before doing so. You can see more on early weaning in our article When is the best time to wean baby. Only purees are recommended before 6 months. At 6 months your baby should be able to sit unaided and has developed the fine motor skills to pick up food and put them in their mouth. Do I have to choose between baby led weaning and puree feeding? It’s OK to give your baby some pureed foods on a spoon at the same time as offering finger foods as part of baby led weaning. This is especially helpful if you’re concerned your baby is not eating enough with baby led weaning. It can take a while for them to successfully learn to eat food on their own. So supplementing their finger food explorations with some blended purees for a time, can enable them to get enough nutrition, while also getting the benefits of baby led weaning. You can then phase out the purees as they get better at feeding themselves. When you begin weaning baby’s milk feeds all remain unchanged. It’s important for baby to continue to get the nutrition she needs from her bottle or breastmilk. Start baby led weaning by giving your baby soft foods, which are easy to digest and then gradually introduce them to new textures and tastes. 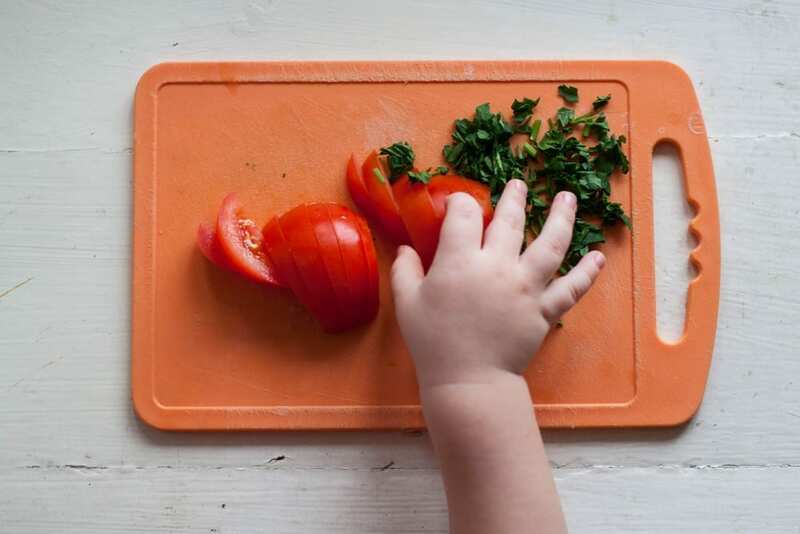 Cut first foods into slices and batons that are big enough for your baby to grasp and hold. A good idea is to make them big enough to fit in your baby’s fist with a little bit sticking out for the to chew on. You can use your own index finger as a rough size guide for these batons. Offer your baby a variety of foods over the week. Let her play with it, touch it and taste it. Try not to hurry her or encourage her to eat. Let her lead the way. Gradually introduce your baby to different tastes and textures. By their first birthday they will be eating the same meals as the rest of the family. For those very first foods, start with fruits and vegetables that are mild in taste and light and easy for baby to digest. Soft fruit and vegetable batons or slices make the perfect first food for baby to try. Easy to mash about with their gums and easy to digest. 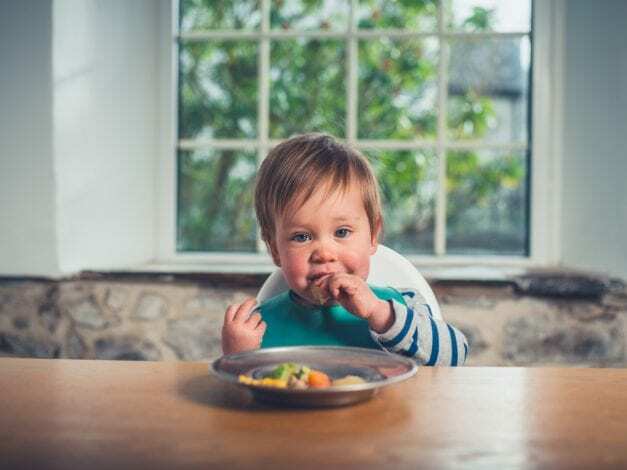 Once your baby has got used to their first soft fruit and veg, you can start introducing a wider variety of foods like some lean meats and fish. Remember to always remove the skin off of vegetables (like courgettes) before offering them to baby as the skin can be quite acidic and can affect some babies’ stomachs. Here are some foods baby can move onto trying as well as continuing to enjoy those listed earlier. Your baby is now ready to try other meats and grains and can start eating combinations of food and try mini portions of family meals. 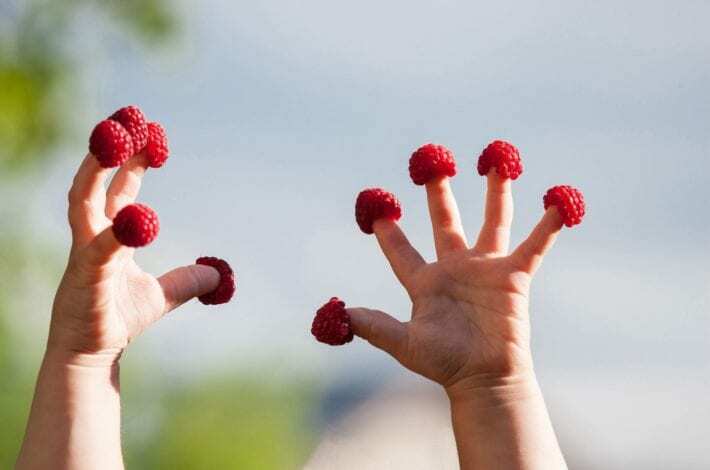 They can use their fingers to start with and as they get older move onto trying a spoon or fork. At this age you can start to try to give your baby more acidic fruits and heavier foods. Keep an eye on how they handle each new food to check that it doesn’t affect their digestion. By the time your baby reaches his first birthday his taste explorations are complete and he can tuck into whatever you enjoy as a family. Make sure you leave these off the menu for under ones. Their digestive systems are not ready for them yet and can’t cope with them. There are also foods which pose a high choking risk and it’s recommended to avoid these as well before 12 months. Cow’s milk (and other animal milks such as goat milk) as a main drink. High choking-risk foods such as whole grapes, whole nuts, popcorn, hot dogs, boiled sweets and marshmallows. What if my baby gags? Gagging is quite normal as you start baby led weaning. It doesn’t mean your baby is choking. It’s usually just their way of pushing forward foods that need a bit more chewing. If your baby starts to gag make sure they are sitting upright or leaning slightly forward so the food they are having trouble with falls out of their mouth. 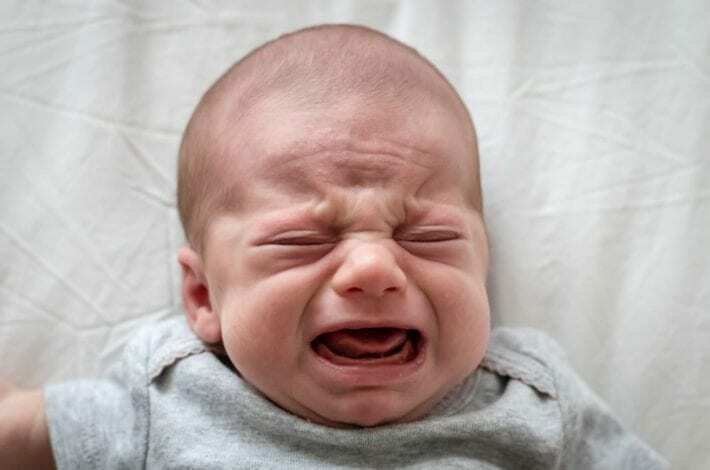 It can feel worrying to watch your baby gag as they learn to chew and deal with lumps and textures but if you stay calm and help them they usually deal with it. Whichever weaning method you go with it’s always a good idea to have some first aid training so that you know what to do if choking does occur. How do I know if my baby is allergic to new foods? 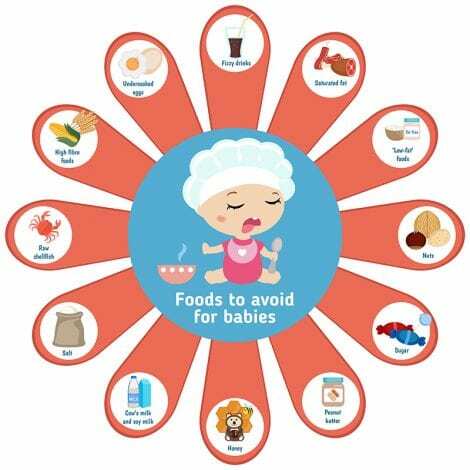 Hopefully your baby will not be allergic to any foods, but as you introduce each new food it’s good to have a few precautions. That way you’ll know which food your child may be having a reaction to if a reaction does occur. Do not introduce new foods right before nap or night time sleeps. This is so that you are able to monitor them for any adverse reactions. If they’re asleep it’s harder to see that rash or to pick up on any other symptoms they may have. Introduce new foods in small quantities. Trying a bit of fish or a small piece of strawberry first before serving up a whole bowlful can be a good way to test if there is any reaction. 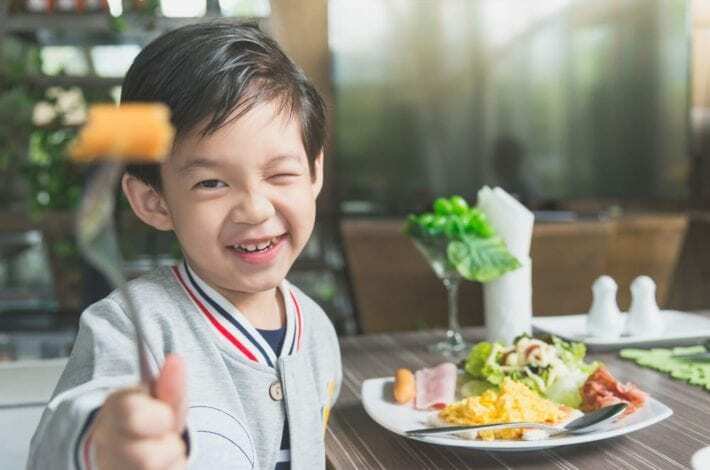 Be aware that a child may have a mild reaction to a food the first time and then have a more severe reaction the second time they try the same food. For that reason, if you see any symptoms of allergies, however mild, always seek medical advice before re-introducing that food again. Not sure about Baby led weaning? 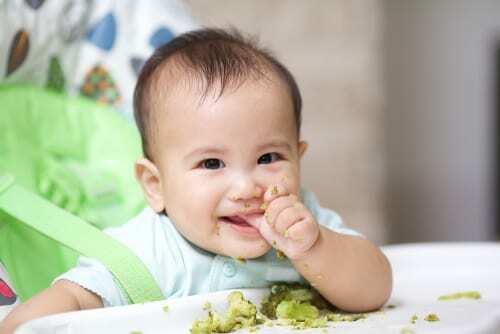 See our article on the Pros and cons of Baby led weaning vs puree feeding for more guidance. Should you ditch the blender completely and embrace baby led weaning as the way forward? We take a look at both weaning ways and the pros and cons of each.